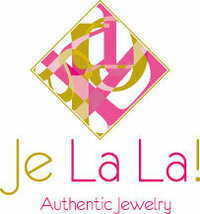 Je La La's summer colorful silver gold plated rings are here at last! Make your hands glam with our new collection of finger tip rings and rings that are funky and cute, by our one and only Lulwa Al-Terkait. Je La La! authentic jewelry is a business that was launched in 2009, from Kuwait, in order to give you only the finest Gold/silver and diamond jewelry designs. whether it's funky, modern, classic, or cute!, Je La La! is here to grant you your wishes and provide you with unique pieces of jewelry.